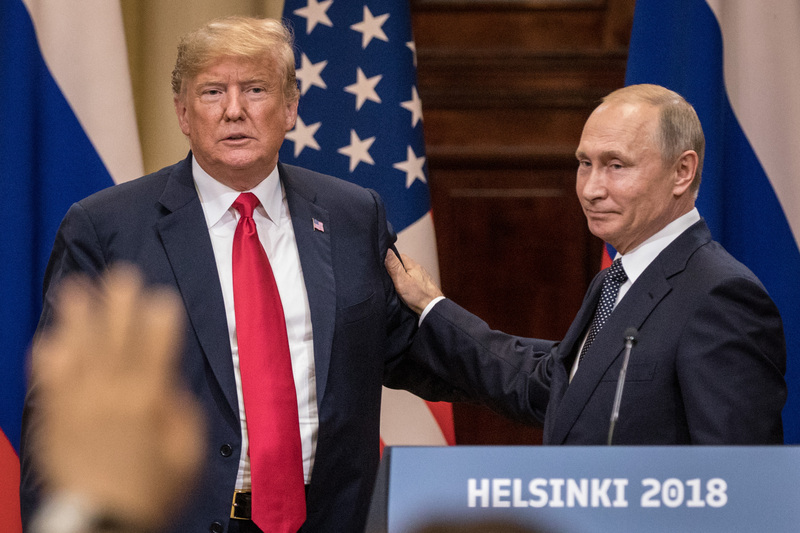 A professional interpreter made the case Wednesday against a subpoena for notes from the infamous Helsinki meeting between President Donald Trump and Russian President Vladimir Putin. Barry Slaughter Olsen, who has served as an interpreter at high-profile events such as G20 and the World Economic Forum, told CNN’s John Berman that such a subpoena could undermine trust and make it more difficult for the world’s most powerful people to communicate effectively. “Have you ever heard of a principal like a president or someone involved in a meeting confiscating the notes of the interpreter afterwards?” Berman began, referencing reports that the president had taken the interpreter’s notes following his highly-publicized one-on-one meeting with Putin. Olsen also confirmed that it was common practice for someone else — if there was another person in the room — to keep detailed notes of the meeting. That sort of thing, he noted, was not the responsibility of the interpreter. “The interpreter is there to facilitate communication,” he said. Olsen began by arguing that the interpreter’s notes might not provide any useful information — but when pressed, he said that his real concern was the fact that such a subpoena could undermine trust between the world leaders and the interpreters on whom they have come to rely. If it were to be done, it would cause severe damage to our ability to do our job. We’re not seen normally on television or if you see us you only see a portion of us, a glimpse or a glance because we go in, do our job. We are used to being just a couple of steps away from the limelight. We facilitate the communication that has to go on so that countries, diplomats, politicians, statesmen are able to conduct business and be able to ensure that there is meaningful communication going on between nations. Now if that subpoena were to go forward, it would be a significant hit to the trust that could be had in interpreters to do this kind of work. Statesmen and those who are involved in these kinds of meetings would have to wonder, well, is my confidential discussion truly confidential? Berman pressed Olsen about the “conundrum” — the fact that there may be no other way to find out for certain what was said in that particular meeting — but Olsen held firm in his position. “I would say don’t do this. It is not something that is going to be helpful in the long run,” he said.